Stern has been busy lately but interestingly enough the announcements this Summer have not been about brand new games on new licenses but rather brand new games based upon some of their older machines. 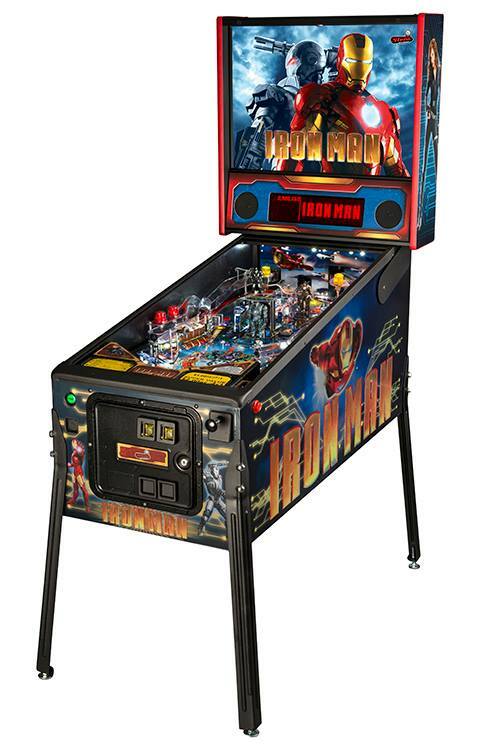 First they announced and released Iron Man Vault Edition. With this model they applied the upgrades that were initially introduced with Star Trek Pro, that being a redesigned backbox with the new speaker grill. All of the lights use LEDs and the toys have been molded into single pieces for “improved strength”. 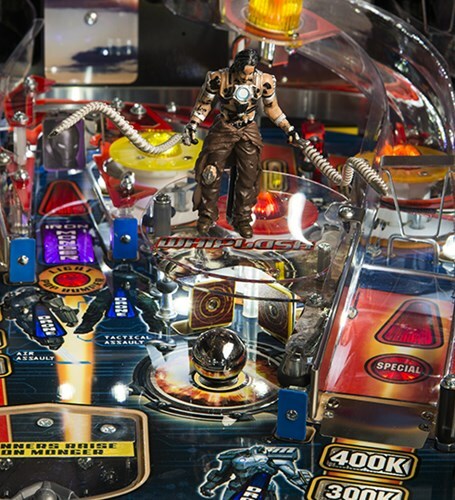 MELROSE PARK, IL – August 5, 2014 – Stern Pinball, Inc., the world’s oldest and largest producer of arcade-quality pinball games, announced an upgraded AC/DC Pro model with all LED lighting and a newly designed swinging bell. 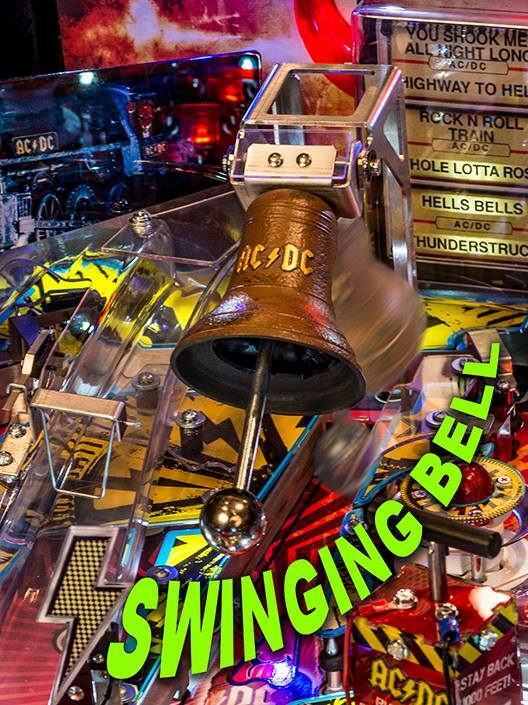 Originally released in early 2012, AC/DC and Stern Pinball have made history by creating a fan-favorite pinball game and an iconic pop culture classic. 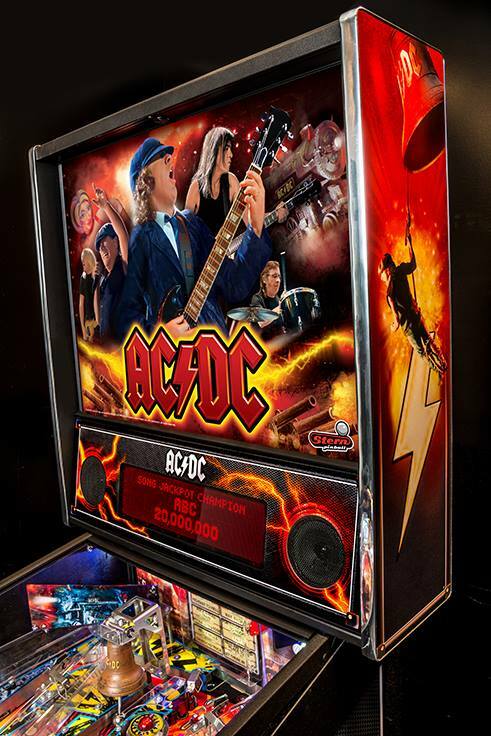 “With the AC/DC license expiring at the end of December 2014, we wanted to offer our operators and enthusiasts a great earning game with the enhanced features that we’ve recently developed,” said Gary Stern, Chairman and CEO of Stern Pinball. Stern is planning a small immediate production run on this upgraded game so order while supplies last.